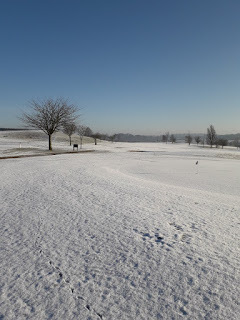 Well, the weather was certainly not our friend this last week, and as the snow covered the course from Wednesday until well into the weekend, very little golf was played!! Tuesday, the ladies managed to get out and had many laughs with playing a 9- hole 'Novelty' competition. Thank you to Hazel and Katy for organising us all. Sadly they couldn't help us with our lack of skill in either throwing the golf ball or kicking it!!! Honestly, you had to be there!!! Amazingly, Lauren managed to score 22 points only to be beaten by Jackie S who came in with an impressive 23 points! They both obviously have skills in managing to get some distance with their golf balls, over and above using a club!!! Well done! Thursday was a white-out, as you can see from above. Nevertheless, we are never afraid of having a go and about a dozen of us tried our skill, this time, on the Skytracker. A closest to the pin competition, was set up for us and Kay Baker came out on top and won a sheaf of balls for her efforts. Well done Kay! 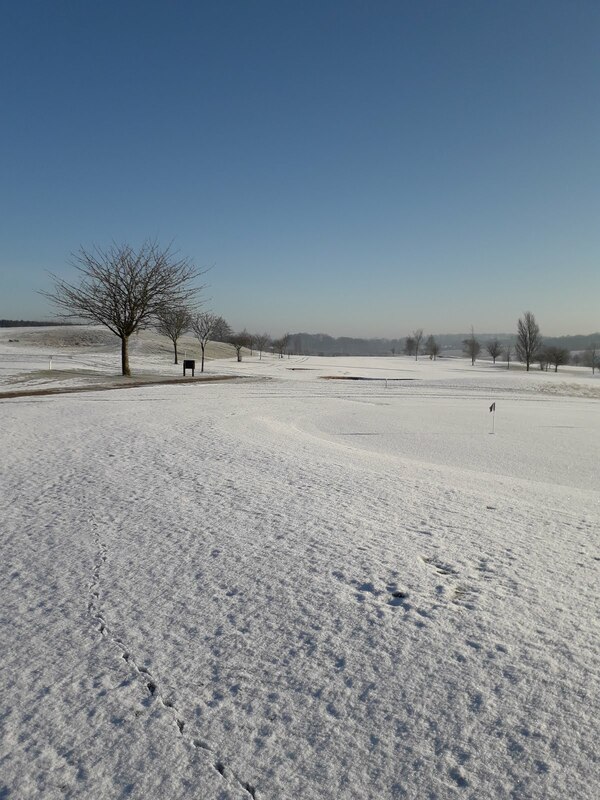 The weekend saw the course closed, so no matches for the 7-day ladies, this time around. The noticeboard now has the Megan Bonner Par 3 competition sign-up there for all to see. If you have not signed-up please do so as soon as possible. This will be followed by warming soup and a roll and the presentation of the winning prizes of the Winter Eclectic. I am also hoping that a representative of MIND in Mid Herts will be able to come along and give a short talk about their valuable work. Fingers crossed for a full diary of golf this coming week! !